It’s not easy to get the kids attention when giving tours at the museum. The minute we walk in there they gasp. 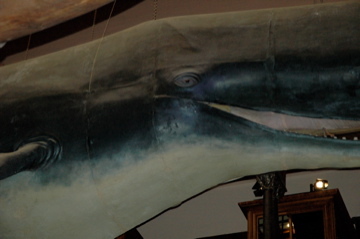 “Is that a real whale?” some will ask while others immediately start to chatter about the size, his one great eye peering down like a proctor making sure you don’t cheat on your test. Now there quiet, I have their attention and I start my tour. I take them over to the image of Ku. Again the kids start to whisper, shove and turn to other displays. It’s a constant game of wanting them to learn something without boring them. I’m always trying to incorporate something that will reel them in and yet be something they are familiar with. Now that I think of it I have to do it with adults to, such as connecting the appearances of all the American flags after 9/11 to the appearances of Hawaiian flag quilts after the Americans banned the flying of the Hawaiian Flag. 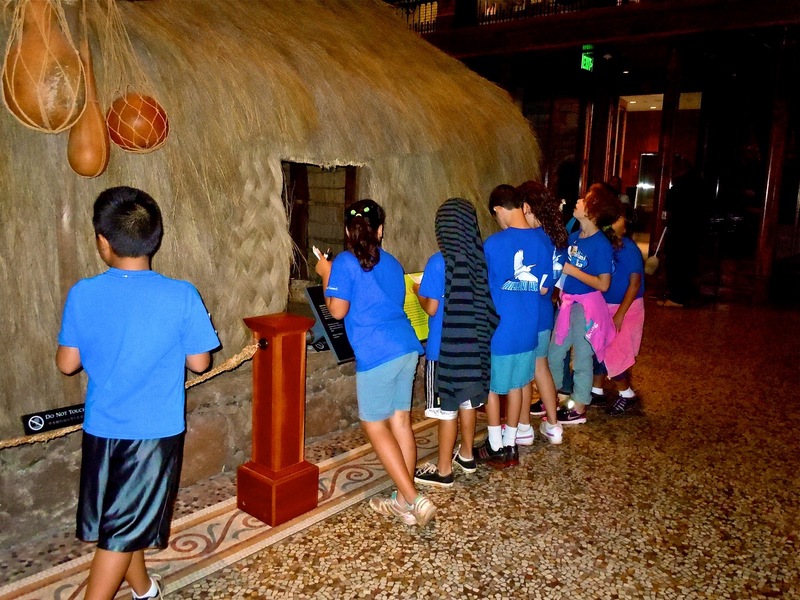 But this time the kids are kind of fascinated with the image of Ku but Ku competes with the display of a Heiau just to the front of the image. So I ask my question. “Who has seen the cartoon, Scooby Doo?” Heads spin towards me and their arms almost dislocate as they shoot up into the air affirming they have. There is one segment of Scooby Doo where they use a “Tiki” as part of a curse. 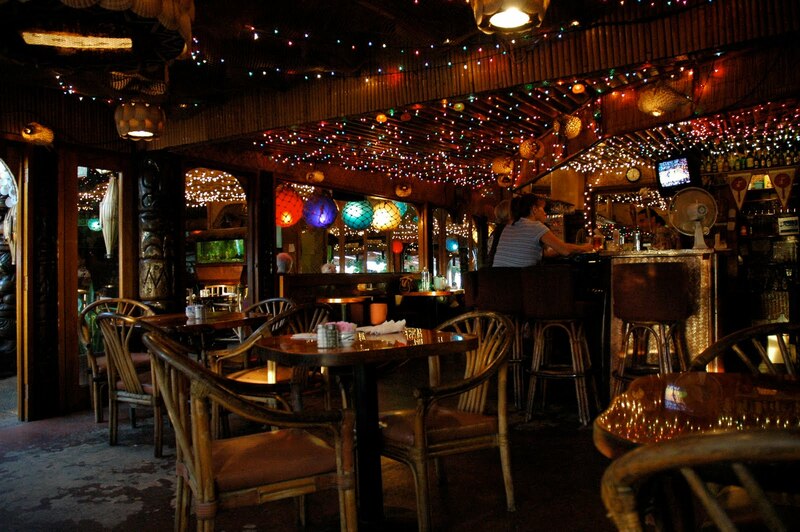 Of course the tiki’s modle was the image of Ku. All of the sudden the kids realize that the god they are looking at does look like the one seen in the cartoon. “Can this Ku put a curse on you?” I ask as they all look at each other with worried faces. I explain to them that Ku was a very important god for the Hawaiian’s of old and that they looked to him for much. Good crops, government and laws among other things. I tell them that they now know the real truth about Ku. He is not cursed. He certainly was not part of a cartoon and that he was very important to the ancient Hawaiian people. So now the kids are calmed down, have become enthused about the artifacts and I finely feel I have their attention. So we stop in front of the Hale Pili or little grass hut. And so it goes. Everyday I must return to the old drawing board. Kids; no ears, no eyes, just a zest for life. The tsunami warning had kept me up pretty much the whole night. Sirens went off every hour on the hour until the arrival time of the massive waves that were to hit the Hawaiian Islands. 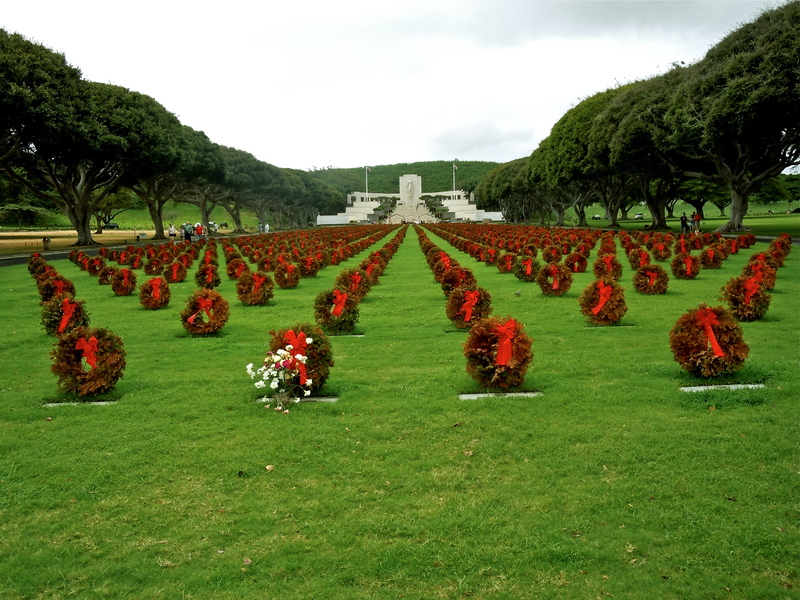 Living up towards the mountains and on the island of Oahu I was pretty sure I was in a safe place. Though if it had been as big as they were expecting there would have been deaths and massive damage that would have rippled through out the islands no matter where you lived. When Friday morning dawned and I awoke to the news that schools, buses, and some businesses were closed I was not sure if I would be going to the museum. On contact with the floor supervisor for that day I found that the kids I would be working with had canceled. No surprise there. But the museum was crowded and so I went in to lend a hand if extra tours showed up. Aside from doing tours I really enjoy taking a break for something to eat with my fellow docents. We share what we have learned that might add to our tours and talk about different experiences that we have with visitors. Yesterdays talk turned to some visitors we had from Japan. One of the docents said he was approached by two Japanese visitors who wanted to know who the little boy was that had been sitting on the bench in one of the exhibit halls. Through an interpreter the visitor said that the little boy said his name was Albert Edward and the little child thanked the visitor for coming to the museum. This perked the docent right up as he was familiar with the name but knew it could not have been who he was thinking of. He asked the visitor to show him where he had seen the boy. 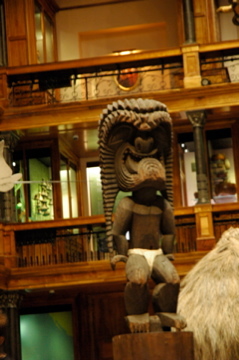 They went up to the “Polynesian Hall” on the second floor where they pointed out a Koa Bench in the main entrance. The docent thought there would be nothing related to “Albert” in that hall but he was still curious as to who was actually seen there. So he took the visitors to the third floor exhibit where on display is a little wheel barrel and some belongings to “Albert” who was Prince Albert Edward son of King Kamehameha IV and Queen Emma. He had died at the age of four from unknown causes in 1862. As the visitor looked at the display he turned and saw a portrait of the little prince. (The very one that you see at the top of the page.) Excitedly he told the docent “that’s him, he is the one who thanked me!” What could the docent say. We’ve all heard stories and some of us have even experienced things at the museum. But I wanted to know more. I would have loved to have seen the little prince. His was such a tragic story and he had such a short little life. You may not belive in ghost but I took heart in hearing this. According to this visitor Prince Albert was sitting and enjoying those who came to see his familie’s antiquities. 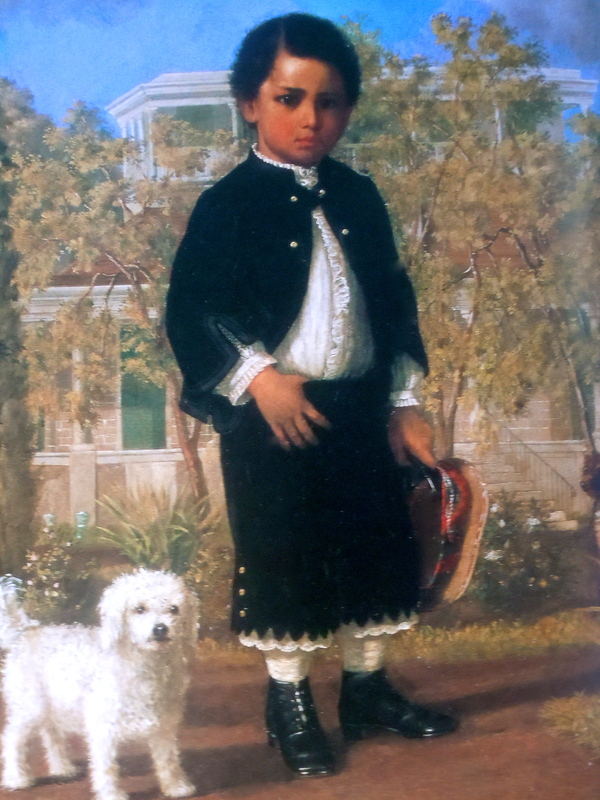 The little prince was Hawaii’s last hope to continue the Kamehameha line. He was the people’s greatest joy being the only child to survive in the royal family line. If you are able to visit the museum you can see the Kahlil (feather standards for those of the royal line) that Queen Emma, in her grief commissioned for Prince Albert’s funeral. They are in the shape of a flower bud to symbolize the fact that the prince was like the bud of a flower that was never able to bloom. Nico got bit by an insect while he slept. 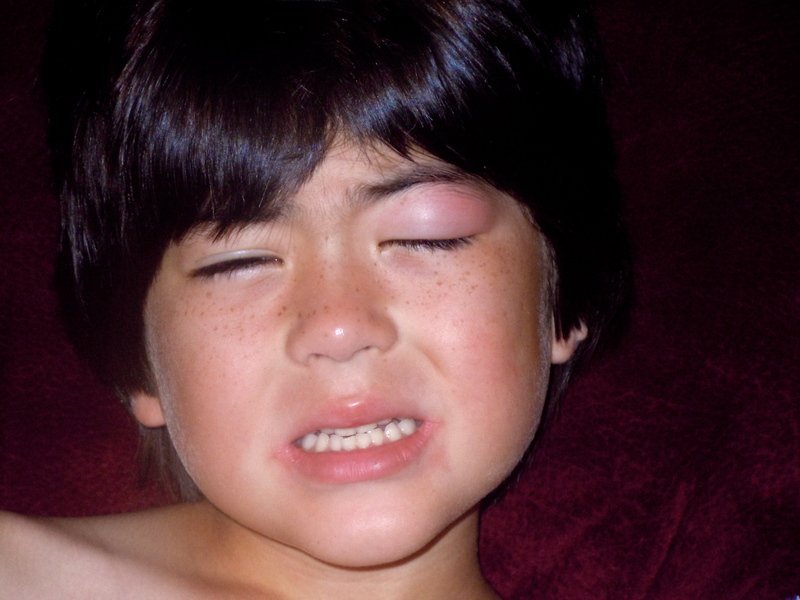 So with swollen eye and a fat finger as well, he stayed home from school. After a lunch and tea and fresh made scones I told him he needed to rest his eye or it would not stop hurting. He was quite upset about that because he felt the more TV he watched the less the eye would hurt. So I stuffed him into my bed and began to read the Stories from his big, heavy collection of Thomas Train. After reading for a half hour about the twin engines he lay there with one eye wide awake and the other just barely peeping at me. Off to my trusty computer and ITunes. I found a wonderful site that had free children’s stories. I told him to just shut his eyes to give them a rest and listen to the story. He was out within 10 minutes. It’s a very nice site and so I thought I would share it with those who might want to play it for the wee ones around the house. Children’s stories & Tales From the Forest.